MOSCOW, February 7. /TASS/. 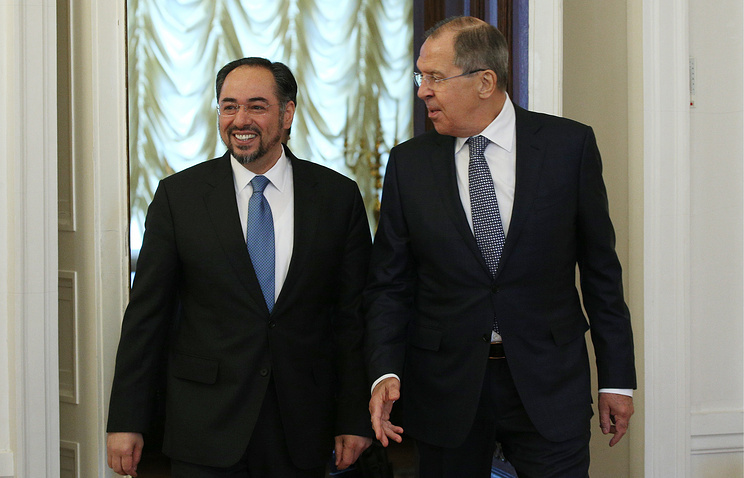 Moscow wants to cooperate with Kabul in a range of areas, especially in security and economy, Russian Foreign Minister Sergey Lavrov said on Tuesday opening talks with his Afghan counterpart Salahuddin Rabbani. "Russia and Afghanistan are old-time and close partners, and are interested in cooperation in security, humanitarian and economic areas," Lavrov said. "We support efforts of Afghanistan’s leadership in stabilizing the situation in the country and in the war on terror." Moscow is satisfied by the "level of political dialogue" with Afghanistan and cooperation in the United Nations, Russia’s top diplomat said. Lavrov expressed condolences to the families of those killed in the avalanches in Afghanistan earlier this month, wishing a speedy recovery to the injured people. More than 100 people died in this tragedy between February 4 and 6. Lavrov called on Afghanistan to develop cooperation in preparing for natural disasters. Rabbani thanked Lavrov for offering condolences, noting that Afghanistan’s authorities are making every effort to reduce the aftermath of the disaster. "This trip is important, we call for developing our relations. 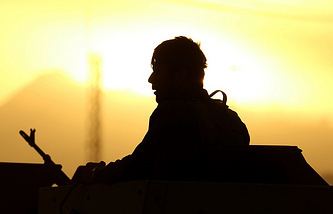 We have many topics for discussion, in particular, the fight against terrorism," Afghanistan’s foreign minister said. Russia and Afghanistan have established a close dialog between their special services to identify and eliminate terrorist groups, Lavrov said following talks with his Afghan counterpart. "The anti-terror cooperation is an important topic and an element of our bilateral relationships," the minister said. "We have an inter-governmental agreement on Russia’s military and technical assistance to Afghanistan. 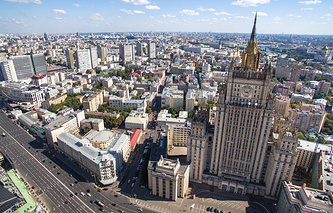 It has sealed the practice that has existed for already many years and practically helps to raise the combat potential of Afghanistan’s security services and the Afghan national army," Russia’s top diplomat said. "Now we have an agreement and so the legal framework has been strengthened; it entered into force in November last year," the foreign minister said. Russia is prepared to continue providing assistance to Afghanistan in supplying and repairing military equipment, Lavrov said. "The Russian side has confirmed its willingness to continue providing assistance to Afghanistan in supplying and repairing military equipment," the minister said. "We have the appropriate capabilities and the appropriate agreements. We will also help training national personnel of the Islamic Republic of Afghanistan, both in military and civilian occupations." The international meeting on Afghanistan with participation of Russia, Pakistan, China, Iran and India will be held in Moscow in mid-February, Lavrov said. "We have a common understanding that there is the need to boost efforts (for reconciliation in Afghanistan). In this context, we confirmed the invitation for the Afghan colleagues for another meeting on Afghanistan’s settlement due in mid-February in Moscow, with participation of representatives of Russia, Afghanistan, Pakistan, China, Iran and India," Lavrov said. "We expect that all partners will be represented at a high level, and most of them have already confirmed their participation," he said. Russia’s supports Afghanistan’s bid for full-fledged membership in the Shanghai Cooperation Organization (SCO), according to Lavrov. "We confirmed our support for the development of cooperation in assisting the Afghan settlement as part of the SCO, considering that this year India and Pakistan will join the SCO as full-format members and considering that Kabul filed a similar application in 2015 for full-fledged membership, a bid, which the Russian Federation supports," Lavrov said. Russia will continue working in favor of the approval of this application by all the SCO members, Russia’s top diplomat said. Moscow is prepared to establish contacts with the United States on Afghanistan and this will be to the benefit of everyone, first of all the Afghan people, Lavrov said. According to Lavrov, Russia maintained some contacts on Afghanistan with the previous US administration but they were "sporadic" and lacked confidence. Russia’s top diplomat said he is convinced that Russia and the US will establish "partner cooperation" taking into consideration that US President Donald Trump confirmed that the fight against the Islamic State terrorist group is a top priority in the international affairs. "As soon as the structures are formed in Washington, which will deal with the war on terror and the Afghan issue in broader terms, both in the State Department, the White House and other bodies of the US administration, I’m sure that our contacts will be established," Lavrov said. "This will be to the benefit of everyone, including our Afghan friends," he said. The Russian diplomat also said that Russia supports the idea of plugging the Taliban into a dialog over future settlement in Afghanistan on the basis of UN Security Council resolutions. "We have confirmed our common stance that Taliban should be involved in a constructive dialog in keeping with the criteria contained in the UN Security Council resolutions," Lavrov said. Lavrov said the Taliban was trying "to conduct the dialog on certain terms that do not quite suit our Afghan counterparts and in a situation where the Islamic State (terrorist organization outlawed in Russia), has been trying to get a foothold in Afghanistan."